A business simulator where you have to lead a transportation company through many game-years of development and competition against other companies, human or AI. Competition is for profits and status, as well as the market share of your industries. You have to build transport links (trains, road vehicles, ships, airplanes) between factories and cities, each supplying a certain kind of cargo. Then you put vehicles on these links to periodically go through your orders, performing a primitive operation (like loading/unloading, transfering cargo) at stations. Originally released in 1991 by Scottish developer Chris Sawyer, has undergone substantial improvements and growth in complexity. As of late can be used for online play, which is how I have personally drained many hours on this game. Economy is the main driving force of the game. You spend money to build your infrastructure, and earn it from the deliveries. The earnings you use to further develop by upgrading railroads or airports, buying new vehicles or improving your links. Money might be too easy to get. Initially you can take out a loan, and when the business kicks off, there’s an ever increasing income. However, the game can escalate into a fierce, fast-paced building competition whereby running out of money could ruin the fun, so this is not really an issue. A rather accurately implemented inflation and interest rates, as well as the ability to buy shares of other companies and bribe local councils give a very realistic, dynamic experience. Players are judged by economic performance indicators, such as income, operating profits, units of cargo delivered, company value, etc. This results in a status (president/chairman/chief executive…); a higher status gives you a fancier house. All players are given equal opportunity and starting conditions, and they can compare their success or failure to other companies. The game is completely transparent, i.e. you can see the financial situation and infrastructure of others, which is a good motivation to do better. I have played with both complete novices and die-hard veterans, and skill does have a big influence on the result of the particular player. The game’s success was mainly driven by its railway building system, which gives an unparalleled degree of freedom. Mastery of the signalling systems determines the efficiency of your network and your revenues. The picture shows a highly sophisticated railway system, built by someone from the forum community. These people are very tenacious about perfecting this craft, and articles such as http://blog.openttdcoop.org/2009/12/30/efficient-stations-and-tight-packed-train-streams/ are in good supply. There has even been a paradigm shift from “point-to-point forth and back deliveries” to circuit-like networks, which are more efficient but harder to convert to a different rail type. Although learning curve is steep, fun starts already at the lower stages of the curve, so no one is cast out. 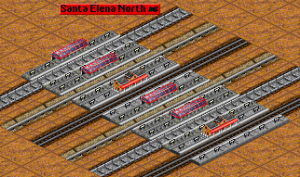 The game also offers alternative channels for the players’ creativity – people enjoy building beautifully engineered railways (like above), or developing cities, or keeping up a theme like eco-friendly or a soulless corporation. All these different gameplay courses co-exist on the same game map, so players of different skill level can enjoy each other. Transport Tycoon starts in year 1930 and goes until 2030, when following a victory announcement you can keep playing for as long as you like. A year in-game takes around 20min in real life. All these mutations give a temporal dimension to the game, letting you anticipate progress and preventing boredom. In addition, the graphs from above record a history, so you can see your performance in retrospect. I think the game’s time handling is integral to the experience. It takes you through the growth of a world whose architect is you yourself. By the end it feels like a lifetime has passed, and you have become familiar with all the cities, terrain and competitors. Saving the game after completion is like taking a photograph of this experience that you can later revisit and reminisce. Transport Tycoon is played in an isometric world, and you have to lay your railways, roads, and sometimes carve water channels manually. Some tiles don’t allow certain variations of rail, so figuring out how to get from point A to B can be a headache and a creative exercise – “is it better to build rail over the mountain and let trains slow down, or build a very expensive tunnel?”. Landscaping, bridges and tunnels are your primary tools of navigating the world that you have to combine to achieve the best efficiency and cost. One type of industry is banking, and banks are built in large cities in later stages of the game. The problem is that it’s awfully difficult to build a station close enough, as cities are very restrictive to demolitions. Solutions include pre-emptively building a station in larger towns at the start of the game, before they’ve grown into a city. In this case you have to solve the problem of predicting which cities will grow, and where a bank is likely to be built. Or bribe the council to allow demolition. Then, there are primary (mining) and secondary (processing) industries. You have to manage the delivery chain to ensure ample input and output of resources, and that you’re not accidentally fueling a competitor’s factory. Solving these problems is a great source of fun and competition. Hearthstone is an upcoming F2P digital collectible card game from Blizzard Enterntainment that revolves around turn-based online 1vs1 matches between two opponents. Players start the game with a substantial collection of ‘basic’ cards, but can gain rarer cards through purchasing packs of additional cards, or as reward for success in the Arena. Hearthstone is set withing the Warcraft universe. Since I have played numerous physical card games back in the days, the game highly resonates with me. As it is done by Blizzard, despite the large amount of bugs, it is still very polished for a game still in beta phase. The game successfully imitates real cards (it has the right ‘feeling’), is very well balanced, and has a nice learning curve. As expected from the company that brought World of Warcraft, the graphics are slightly cartoony, but a pleasure to look at. 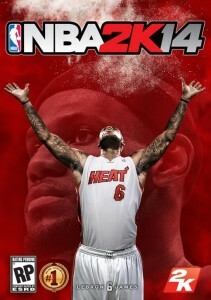 The video game I want to analyze here is NBA2K series produced by 2K. 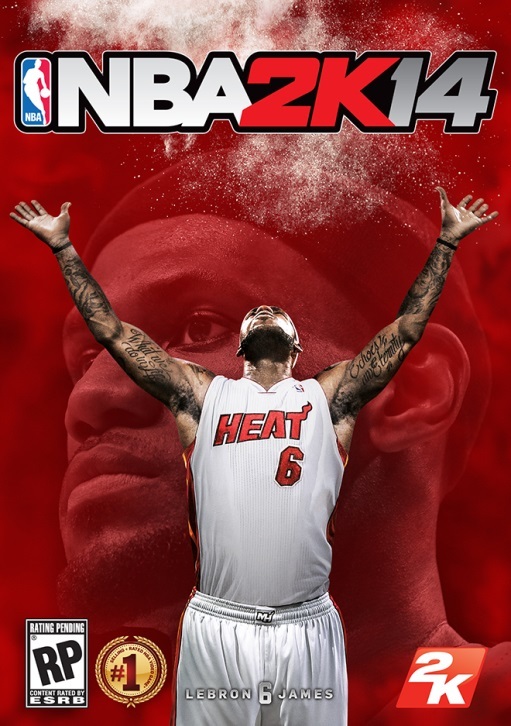 I have been playing the game starting from NBA 2K9 and the newest version currently is NBA2K14. 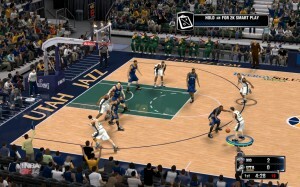 The game is a sports game with many different modes. The most basic one is to control an NBA team fight against another one. 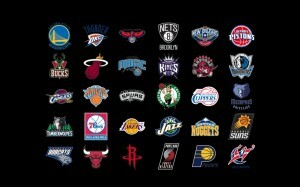 I love the game because I love both playing basketball and watching NBA matches. I find it interesting and competitive especially playing with friends instead of combating with AI. n The game is able to accurately capture the essence of what a player or a manager or a coach gets from playing a real-life basketball/NBA league. 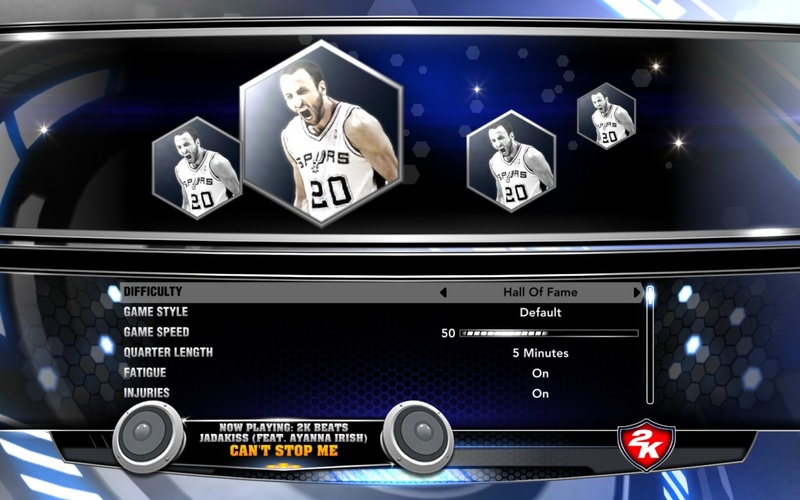 For example, you can play as a player starting from rookie year to win numerous awards. n The game allows people who are not good at playing basketball enjoy the fun of basketball. 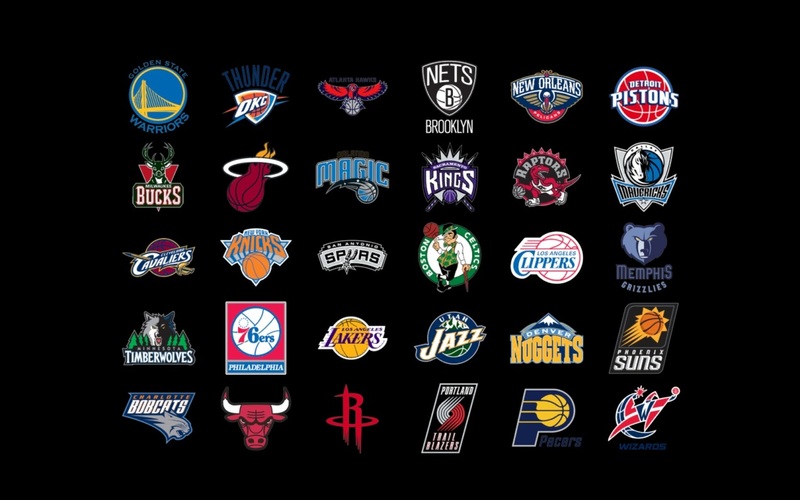 n The game allows experienced basketball players or NBA fans to gain the sense of achievement by building great teams and winning the championships in the league. n NBA 2K series are definitely full of fun. The games contain many different modes which fulfill different requirements and I love combating with my friends via the games. 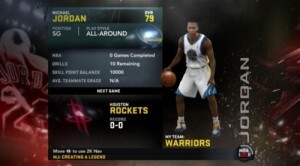 n Among all the modes, I love the Jordan Challenges and Create a Legend in 2K 11 best. I can not only experience the highlights in Air Jordan’s career but also play as Jordan starting from his rookie year and finally become a legend by our own effort. n The game requires multiple skills to play well. Different modes even require different sets of skills. For example, Quick game requires the skill to control the whole team; MyCareer mode requires the skill to control only one basketball player; Association requires the management and trading skills, etc. n Players like us have to improve our skills to achieve the goals we want. n NBA 2K series are definitely skill-based and fair games. Players with more skills and experiences are more competitive compared to those who seldom play the game. There are strong teams and weak teams, but your skill will finally decide which are indeed strong. n You can adjust the “fairness” by selecting suitable difficulty levels. There are several levels for players of different background. 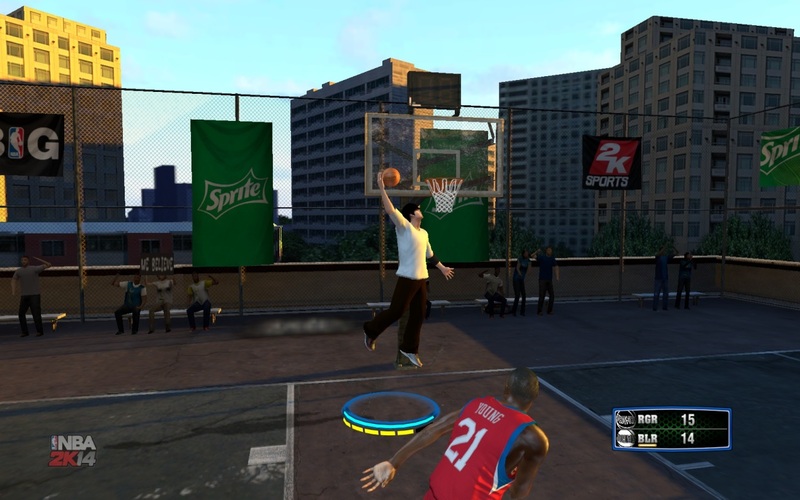 n NBA 2K series are powerful “control” games. 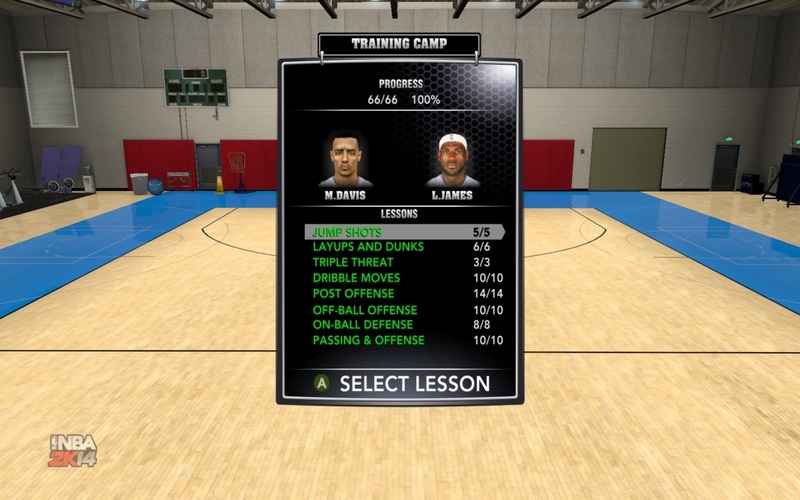 The game has training sessions that help players get familiar with and therefore master the controlling system. You can always complete complicated actions by using game controller or keyboard. 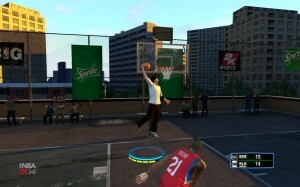 n It is also the “realest” basketball game. 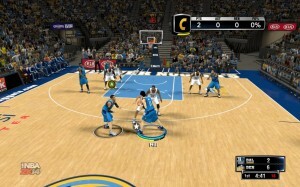 A few years ago, NBA Live series was another famous NBA basketball game. 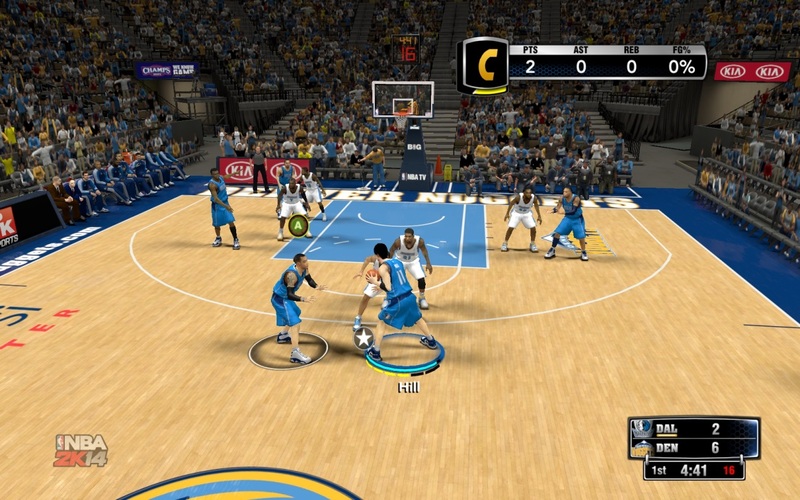 However, it eventually failed to compete with NBA 2K because of its controlling system was too poor. It was too easy to score and I cannot feel the power of my controlling skills. 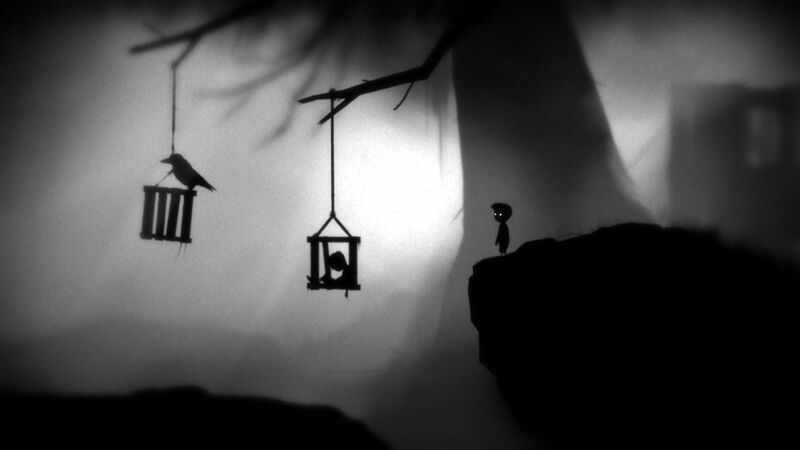 Limbo is a 2D side scroller platform game in which the player controls a nameless little boy who is looking for his sister. The player does not learn anything about a backstory. To progress in the game the player has to solve puzzles which make use of mechanical effects, gravity, magnetism, among other things. Additionally, one has to avoid dangers such as foothold traps. In some cases, these dangers are not immediately visible, such that the player cannot help but make the character die in the first attempt and avoid them in a subsequent try when he knows about them. 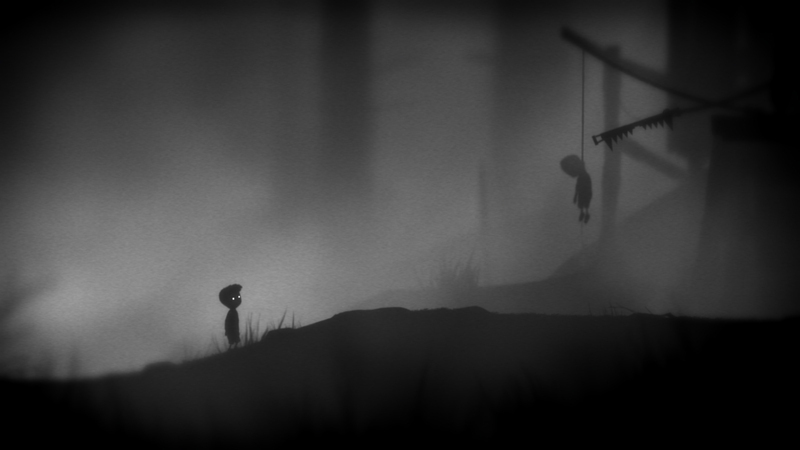 The game appearance is a dark, moody, greyscale look. It makes heavy use of fog and artistic blur. The deaths of the character are usually cruel, illustrated by disturbing animations of the detachment of body parts. What pleasures does your game give to players? Can these be improved? What pleasures are missing from your experience? Those aspects are not present in the game design. Why? Can they be added? It seems like a conscious choice by the designers to keep the game as simple as possible and to concentrate on the core experience, avoiding everything that could distract from it. In many cases, deadly foothold traps cannot be spotted beforehand. Suddenly seeing the main character die in one of them will probably shock most players. Does the story have surprises? Do the game rules/artwork/technology? When first playing the game, it is surprising not to get any type of instruction on what to do. The movements the player can execute (running left/right, jumping, pushing and dragging objects) are not surprising since it is common to all platformer games. Who is the character? What are his goals? What is the objective of the game? What is this dark and foggy venue? Mysterious things, like a white butterfly, are placed in the game world without any further explanation. What are these things about? How difficult will the game puzzles become? The possibility of a great story which will unfold later and resolve the beginning mystery keeps the player interested. When do my players have freedom of action? Do they feel free at these times? When are they constrained? Do they feel constrained at these times? Are there any places I can let them feel more free than they do now? When solving puzzles, player has the freedom to interact with moveable objects in the game world. For example boxes, ropes or corpses of beasts. However, the number of these objects is usually very low. The overall freedom the player has is very limited. Firstly of course by the fact that the platformer-genre only allows movement in two spatial dimensions. Secondly, because at every state in the game there is usually only one way (or very few ways) to progress. Other than trying to solve the puzzles, there is not much else to do. This fact does not change for the entire duration of the game. Players need to see that they are making progress when solving a difficult problem. What does it mean to make progress in my game or puzzle? The character of the puzzles changes from (involving classical mechanics, animals, etc.) to puzzles which make use of technology such as electricity or gravity-inversion. League of Legends (LoL) is a multiplayer online battle arena video game developed and published by Riot Games for Microsoft Windows and Mac OS X, inspired by the mod Defense of the Ancients for the video game Warcraft III: The Frozen Throne. 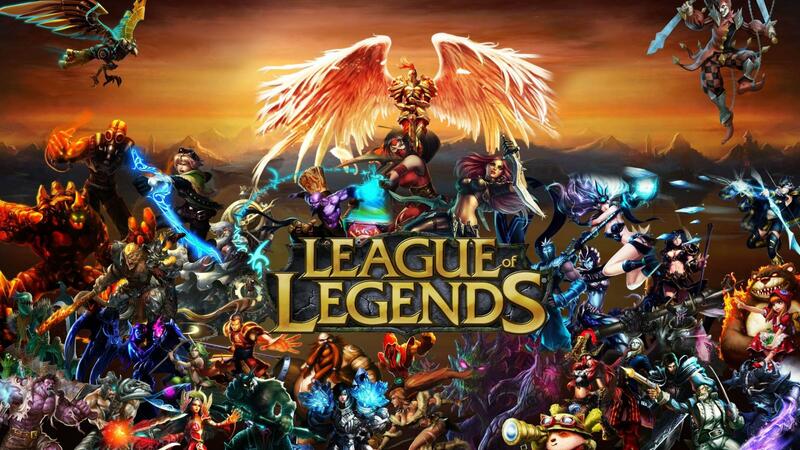 League of Legends was the most played PC game in North America and Europe in terms of the number of hours played. As of January 2014, over 67 million people play League of Legends per month, 27 million per day, and over 7.5 million concurrently during peak hours. Currently, it has become one of the most played in Asia as well as the World Champions being Asians previously (TAIWAN). The main game’s objective is to destroy the last structure on the classic map, the enemies’ “Nexus”. Other maps have differences in the rules and objectives, such as the map “Dominion” where the team’s Nexus will lose health when the opposing team has at least three of the five towers in their control. Masteries outside of the game itself to allow players to customize how their heroes play. where the player should have a certain level of skill. However, there is always a custom games where players can train to play. The game is also tedious as there are lots of tatics to follow and adhere to. Adding more elements of chance does not enliven it as many believe this game to be based on skills. However, there are still some elements of chances that will surprise the players like % of stun chance. This game focuses on team work to win and accomplish the mission. Each team has 5 players and there are different roles in the team (Carry, Support, 1Tanker) which makes a critical role in team fights. 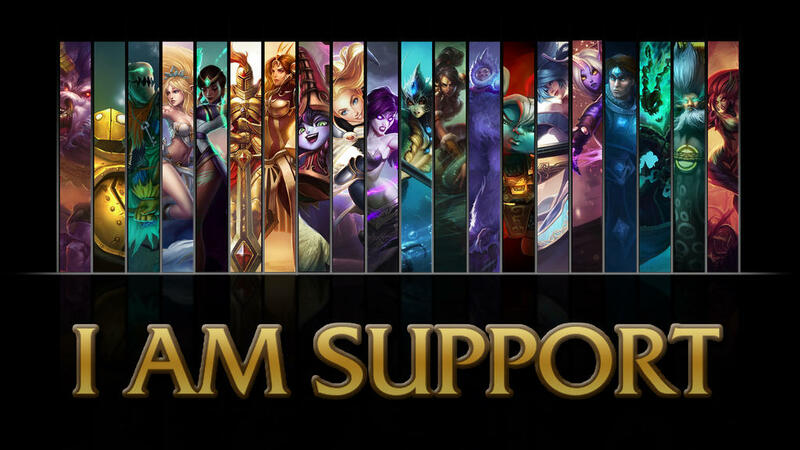 Each roles have different abilities to support, carry or tank in which they assist each other in team fights. For example, a Support Class Hero Soraka can heal her allies in battle by using her ultimate(Wish). In this game, the essential experience that it provides to the players is the challenge of mixing up the skills and trying to predict the opponents moves and working together as a team to achieve the goal of the game. 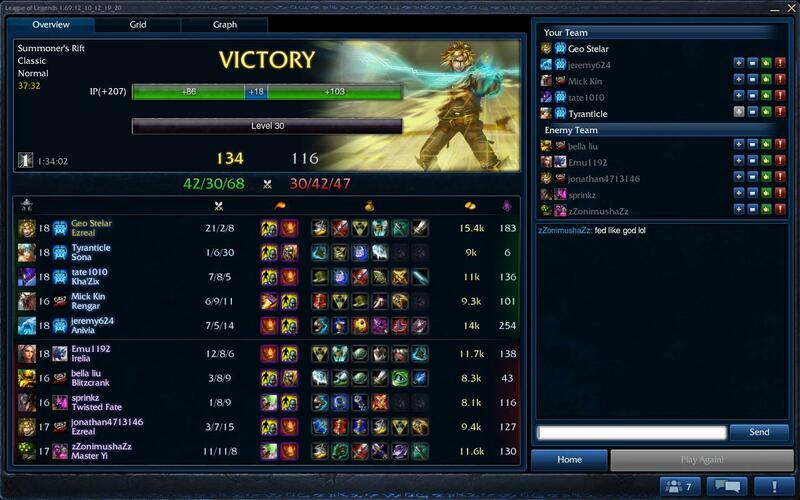 when the team is able to defeat the other teams Nexus will the game end. difficulty of destroying the opponent’s nexus. 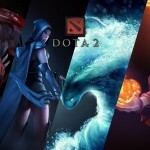 Dota 2 is a sequel to the game Defece of the Ancients (DotA) which is a custom map on Warcraft 3. Basically, the game is a battle between 2 teams, the radiant and the dire with 5 players on each side. Each of the players will be controlling a hero which is chosen from a pool of more than 100 heroes. Every hero has different skills and attributes and they also have different roles to play in the game. Their heroes would level up, learn new skills and become stronger as the game progress by killing weaker computer controlled monsters or opponent heroes. The main objective of the game is to defend your own base and destroy the throne (aka ancient) in your opponent’s base. Dota 2 is a game that require a high level of cooperation. In a team of 5 players, there are various roles that each of them can take on such as carry, support and semi-carry role. Each role as their own special jobs and if they are not fulfilled, it will affect other players and the whole game play. In the game, players are able to communicate with their own teammates and usually, the more experience players will guide the newer players on what they are supposed to do and what special jobs they are supposed to fulfill. In Dota 2 , there is only one ultimate goal of the game which is to destroy your opponent ancient. However, there can be a series of smaller and more specific goals such as killing a tower or killing the heroes (which is the opponent) and fulfilling these smaller goals will allow your team to have a better chance in achieving the ultimate goal which is to win the game by destroying the opponent’s ancient. This game requires a variety of skills from the players. One of the more important skills in Dota 2 is teamwork. A team of 5 average players will be able to outplay a team of 5 skilled players if they are able to communicate better and display more teamwork in their play. Sometimes, individual skills is important as well. A highly skilled individual is able to help his team win the game even when his opponent are not very skilled. However, in most scenario, if the skill level of both teams is similar and not differ by a lot, the team with more teamwork will usually emerge victorious. 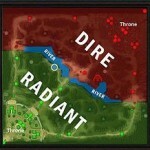 Dota 2 often requires players to make decisions in game. For example, when a player level up, he gains one skill point and he has to decide on which of the 4 skills he wants to level up. Different skills give your different advantage and sometimes, levelling up the right skill would make the difference between life and death. Players also would earn gold in game by killing other heroes or computer controlled units. Deciding on what items to buy with your gold is also a very important decision to make as you have different allies and enemy heroes every game and choosing the right items in the particular situation would improve your chances of winning the game. As you are fighting against 5 human players, there will always be competition. Recently in Dota 2, it implemented a ranked matchmaking option whereby after you played a couple of games, the system would give you a rank and when you are finding game, the system would match you with players with similar rank as you as your allies or enemy. When you win a game, your rank would improve and if you loses. With this system, you would also be match against players of the same skill caliber and hence there would always be competition when you play. If you are really good, you could find a few friends and for teams to take part in competition. In recent years, there are a lot of competition organized for Dota 2 both online and offline with really good prize money to be won. For example in August, Valve organized one of the biggest Dota 2 competition of the year called The International where the first price money is over US$1.4 million. There is a link for the grand final of the International below if you are interested. FEZ is a simplistic looking puzzle adventure game set in a quirky and cute looking world. One if it’s main features is the unique mechanic to rotate the 2d perspective in 3d. It follows a simple story and the player is able to progress by solving a variety of puzzles. Despite the initial 2d look of the game, the fact that you can rotate the world not only adds another dimension to the world (literally), but also provides the basis for most of the puzzles in the game- as most of them require the player to “think outside the box”, and cleverly use the mechanic in one way or another. Fundamentally the game is as simple as it gets, as the player can only walk left and right, jump, and use the rotation mechanic. Despite the simplicity, the types of puzzles found in game are very diverse, and vary in complexity/ difficulty a lot. The game starts off by introducing the player to the story and main mechanics. After that, the player is left to himself. By only being given the main incentive and not being lead in some way or another towards intermediate goals the player is encouraged to explore the game world. In fact since most of the play time consists of exploring the surroundings, the story goal often becomes a secondary one. Everything in game, including hints and puzzles stay canon to the world feel, and does not break the third wall, unlike where most modern games take UI-driven instructions to the player as the industry standard. All these factors contribute to making the player feel immersed in the world, and achieving the sense of curiosity to seek out challenges and explore. The downside of this game relying so heavily on curiosity is that there will be players who won’t be curious enough to go forward. And when the story and main incentive is so weak, these people will probably just exit and forget the game completely. As mentioned before, the only way to progress through the game is by solving puzzle. Puzzles vary in difficulty greatly, and can accommodate both beginners and puzzle fans. Most of the time puzzles are related to some part of game mechanic or lore, and the players are rewarded not only with statistical game progression, but with knowledge of the hidden game mechanics and game lore – for example players can find Rosetta stone type slates scattered throughout the world, and if translated it can help player read hints and messages scattered in the game. There are many such examples where puzzles and sense of exploration blends so seamlessly, accommodating the general feel and immersion. One of the most interesting factors for this game is the lack of in-game guidance. This puts complete trust into the player in regards of game progression and sustaining the interest. Due to such design, the game feels more like an experience rather than a game. The interest curve is determined purely by players’ preference in visuals and curiosity. Besides that, a lot of the initial interest (hook, in other words) depends on the first few minutes of the game. The world plays a major part in the game. From aesthetic qualities, to complimenting game mechanics and even playing bigger part in many of the puzzles. The world is comprised of 4 sides which when switched between, provide different map layouts- As the perspective is 2d, the overlapping objects serve as platforms. Game world is shrouded in mystery- but there is a lot of depth to be discovered if the player is curious enough. From old civilization alphabets to cities and monuments, each tell their own story in a quiet way, and the player is free to interpret as he likes. Either way, a lot of the lore elements serve as hints for the puzzles that are in the game, so in a sense, the game rewards players for being curious. Higurashi When They Cry (ひぐらしのなく頃に Higurashi no Naku Koro ni?, lit. When the Cicadas Cry), known simply as When They Cry for the North American release of the anime adaptation, is a Japanese murder mystery dōjin soft sound novel series produced by 07th Expansion. The games are built on the NScripter game engine and are playable on the Windows operating system. 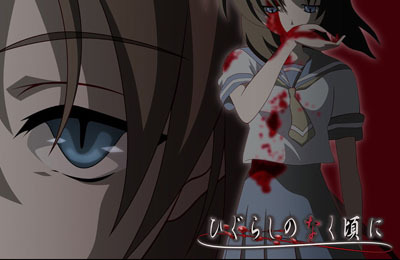 A sound novel is similar to a visual novel in that the gameplay requires relatively little player interaction as most of the game is composed of text dialogues. The game utilizes intermissions where the player can obtain several Tips. These Tips allow the player to read various supplementary information that may or may not be useful in solving the mystery. For example, one of the Tips can be as simple as “this is a small village; children who go to this school are combined into one classroom regardless of what grade or year they are in.” On the other hand, they can provide valuable hints, such as being able to read the excerpts of the newspaper articles regarding the murders that occurred in Hinamizawa. At the beginning of each of the story arcs, a cryptic poem by someone known as Frederica Bernkastel is read; these reveal some of what is going to happen in the following arc. 1.1 The players will be surprised by the story of this game. The game tells a murder mystery story, which is hard to be guessed by players. e.g: The hero of the first story is the murderer, but even the hero himself does not know that, neither the players. 1.2 This game provides tips that may or may not be useful to the players. Players may guess the story by themselves; but the players’ stories are usually much different from the true story, which makes surprise. 2.1 This game is only to tell a story. The story is very difficult to predict, and the tips provided to the players increase their curiosity. 2.2 The game puts several separate mystical stories into different part of the game. The players will think of questions such that “what happened to the people” or “who kills them”, and they will not get the answer until they play the later parts of the game (When They Cry: Kai)(“Kai” = “解” = “solution/proof”). 2.3 Some separate stories are related to other stories. When player read a story, they may also think of the questions that previous stories put to their mind. 3.1 The length of the gameplay activities is only determined by how long does the player take to read and think about the stories. 3.2 The whole story is quite long, but it is separated into several parts of the game. The player can play the game at anytime, and can finish one part of the game within several hours. 3.3 The game is like a novel, and it let the players think about the truth of the stories at any time and as long as they like. The players are totally free to read and think, with on time limits in the game. 4.1 The game really needs a story because it is a sound novel game. The whole game is just to let the player discover the truth of this story. 4.2 It is a murder mystery story, and difficult to reach the truth when the player read it at the first time. It is separated into several small stories, and the small stories are all within the same world and same timeline. The players would be interested in the truth hidden under all these small stories and try to discover it. 5.1 The game designer wants the players to be interested in the story and to discover the truth by discussing with other players; also, the game designer would like the players to extend the story by themselves. 5.2 The game let the players to do it without set the goals. First, it separates the game into several parts, and published them in different time. For example, players can only read the story without knowing any “truth” when the first five parts of the game is published; at that time, the players are willing to discuss the story together to get the truth. And the parts that contain “truth” are published after several months. Second, it allows any player to rewrite the story as dojin (within the same world, using the same characters and not for making profit) and publish it as novel, manga or any other form. Then the players are free to extend the story to any form and extend the story as they like. e.g. This game now has been rewrite and transformed to PS2, NDS, IOS and Android; the form of the story now includes games, manga, novels, and TV series. All the extensions mentioned above are done by the players and other dojin groups. BombSquad is a video game which runs on the Mac and Ouya platform and it allows up to 8 players in a game by connecting from a variety of controllers (PS3 controllers, XBox 360 controllers, most USB/Bluetooth gamepads and iOS/Android devices via ‘BombSquad Remote’ app). It’s basically a simple game where your character get to jump, punch, throw and bomb to defeat the opponent and aim for the goal. There’s a few mini-games ranging from Capture-the-Flag, Bomber-Hockey, King-of-the-Hill, Epic-Slow-Motion-Elimination etc. with different goals in it. • BombSquad has a clear goal for each of its mini-games making it simple for people who are new to the game to just pick it up in no time. • The goal is achievable and rewarding at the same time. Users will have a sense of satisfaction when he or she achieves the goal. • There are both short and long term goals. Short term goals which is in the mini-game itself, and long term goal which is to unlock each mini-game in order to proceed to the next stage. • The goal of Capture-the-Flag is capturing the enemy’s flag and bringing it to its own territory. • The goal of Epic-Slow-Motion-Elimination is to reach the peak of hill to touch the flag. Players will be in slow motion. • BombSquad has the right balance of simplicity and complexity. Its complexity rises out of the fairly simple system as the concept of the whole game is pretty simple. • The complexity comes in when there are obstacles to reach the goal such as bombs, opponents punching, lifting and throwing you off the arena and so on. • BombSquad has being made to be lovable as it has some funny qualities inserted into it. • Characters in BombSquad are interestingly designed as little creatures, and the game becomes hilarious from the way they run around, to the moments where you can attach a sticky bomb on someone’s face, you can also pick someone up throw them off the arena, freezing them and other ways to attack the opponent. • The graphics and the background music of the game enhance a jokey atmosphere and making the game to not be taken seriously. • BombSquad is being designed in such a way that it is most fun when played with friends. • It can break the ice among people as it either requires cooperation to defeat the opponents or have to have competition among one another. • Its sense of humour in the game alone will allow players to want to talk and laugh about it, that’s when people build friendship through playing BombSquad. The game is a First-Person Shooter (FPS), online multiplayer. The game is about warfare on a battlefield, be it an urban environment or in rural areas. A player can play as infantry, use a tank, a fighter jet and a variety of other military vehicles and aircrafts. 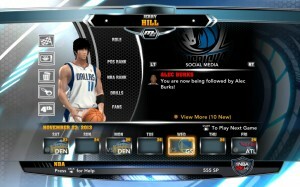 One match may consist of up to 64 online players and is divided into 2 teams. There are many game modes but the most common are “Conquest”, “Rush” and “Obliteration”. Each team starts with the same number of tickets. The objective is to drain the other team’s tickets. The number of tickets for a team decrease when a player is killed or when the enemy holds more than half of the flags in the game. Attacking team starts with a number of tickets. Their objective is to blow up designated M-COMs before they run out of tickets. The defending team’s objectives is to drain their tickets before all points are blown up. Each team starts with its own set of 3 M-COMs to defend. The objective is to find a bomb that can be carried by either one of the teams and use it to blow up their enemy’s 3 M-COMs. *M-COMs are just some object that needs to be blown up. There is screen blurring when you are getting shot at. This is to simulate the fact that you can’t really get a good look at who is shooting at you so you would have to find cover first. Animations of the humanoid player models are mostly life-like. The way they run, jump across obstacles or even when they’re standing at the same position, they just look and feel real. It is quite different from a lot of shooters where the player models are quite stiff and almost robot like. These animations give a better sense of realism in the game. Environmental effects also play a part in the experience. When looking towards the direction of the sun, there is a lot of glare and you can’t really see anything within that view. During a game, it could be sunny at first but after a while, a lightning storm can come in and you would see the tidal waves start to get higher and the trees begin to sway violently. However, some of the implementations such as sun glare can be overwhelming at times, hampering the gameplay. Some would love to use it to their tactical advantage whereas some people just hate it because they can’t see anything. They have their reasons to like it or not but it is difficult to decide if it is a justified reason when there is so much differing opinions from a large group of players. There are many environmental objects in the game that can be changed. Be it a building, a wall or water level, their states can change over the course of the game. All these are known by all players when they are in the vicinity. Other player states such as knowing the positions of enemy players on the map also have an impact on the game. This makes it such that usually not 1 game is the same as another. For example, if a building has been totally destroyed, you won’t be able to take cover in it anymore. If a forest area has totally been deforested, it wouldn’t be wise to advance your position along the route by land as there is no more cover, forcing you to either go by another route or go by air. Knowing the positions of all enemy players also extremely useful in choosing the best attack route. As with most FPS games, Battlefield 4 involves a lot of physical skill, that is the hand eye coordination required for aiming accurately at an enemy. Also you would need some skill in controlling the recoil of the gun you are using in the game. Players also get to drive tanks, attack boats, fly helicopters and fighter jets and each have its own different skill set. The game requires a team with different combination of skillsets. There is quite a bit of mental skill required as well. By observing your environment and the situation, the player will have to decide whether to engage the enemy head on, hide and let the enemy pass you by so you’d sneak in instead or fall back and wait for reinforcements to come. The game’s final objectives makes such decision choices possible. Social skills are definitely required as well. Team coordination is a definite must in this game as it plays a huge factor in winning the game. But besides that, you can always make use of strategies that involve fooling the enemy team by setting up a decoy. Also given the current environmental situation, one can guess where the enemy would most likely attack from. 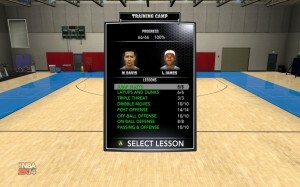 The skills can definitely be improved over time with experience and practice are definitely rewarding to the player. However, there can be quite a large skill gap among players and can be quite frustrating at times. As mentioned before, Battlefield 4 is a team based game. 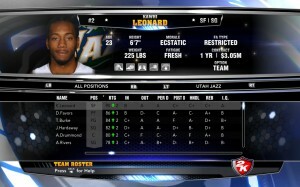 In the game, a player will be part of a squad of up to 5 players which in turn is part of the team of 32 players. The game allows a player to choose among 4 classes: Assault, Engineer, Support and Recon. Each class has a specific role in the game and a good combination of these classes and their coordination will make it a strong squad. For example, when any member runs out of ammo, a Support class player can provide ammo for the squad. If the squad faces an enemy chopper, they would have to rely on the Engineer class players to help take it out. If a fellow squad member has fallen, only the Assault class player can revive him. There are so many other things that make playing solo very difficult in the game. This is what makes cooperation very important in this game. 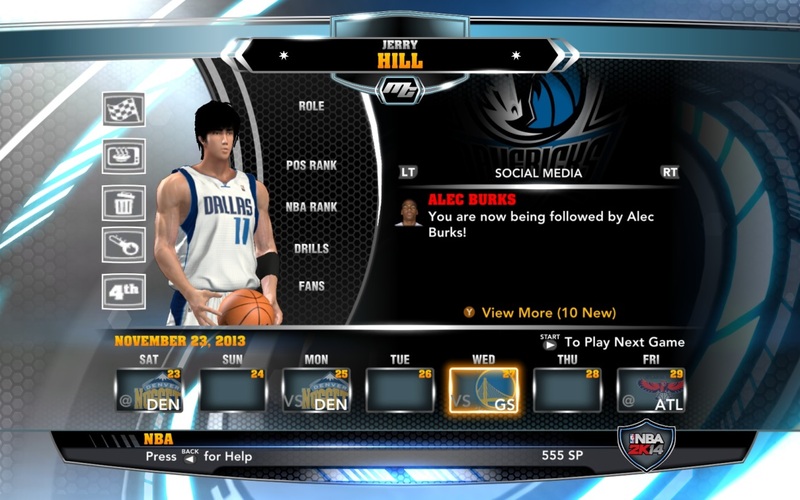 Players are able to communicate with one another through in game voice communications or text chat. The squad can be friends or strangers. But given the clear objectives of the game, it is quite natural for strangers to communicate with one another as well. It is actually a good place to make friends with them. Battlefield 4 basically mimics real world environment and when set at its extreme graphics quality, it is absolutely beautiful as an art piece. The way the maps are designed, the object textures, how real the water moves and looks like, how impressive the explosions look all contribute to the aesthetic beauty of the game. However of course, with such attention to detail, it requires an extremely capable computer which some might deem too expensive to upgrade to or they may be forced to play at low graphics settings.